Well, hello! My husband and I returned from our trip a couple of nights ago and we’ve been busy catching up on laundry and fighting jet lag since. Our bodies still on France time, we’ve been going to bed by 4 -5 pm only to be ready to start the day at 1 am. While my husband hates his routine being off, I actually don’t mind it very much–I like the quiet hours. There are no phone interruptions and I feel oddly productive doing the laundry, running the dishwasher and conducting a baking experiment at 3 in the morning while the rest of the world sleeps (never mind that going to bed by late afternoon cancels all of this out). At least the recipe I worked on this morning turned out well. I sent my husband off with the first batch and I’m now in the middle of preparing the second. In the meantime here’s a recipe to welcome the arrival of Fall. French onion soup. 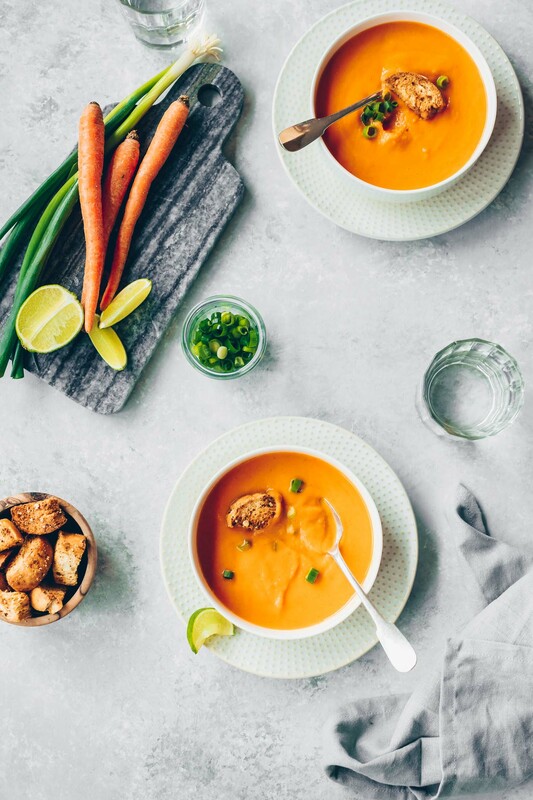 I can’t say that it was a favorite growing up as I didn’t have my first taste of it until I was an adult but I’ve always been a soup lover. It wasn’t until I tasted Fandango’s version in Pacific Grove outside of Carmel that I fell in love with this humble soup. The others I tasted before have all been either forgettable or just downright bad (too much cheese or too light on the onions or nothing but canned beef broth). I read a side note years ago in one of my America’s Test Kitchen cookbooks about a French chef’s technique of building layers of onion flavor by slowly cooking the onions down. 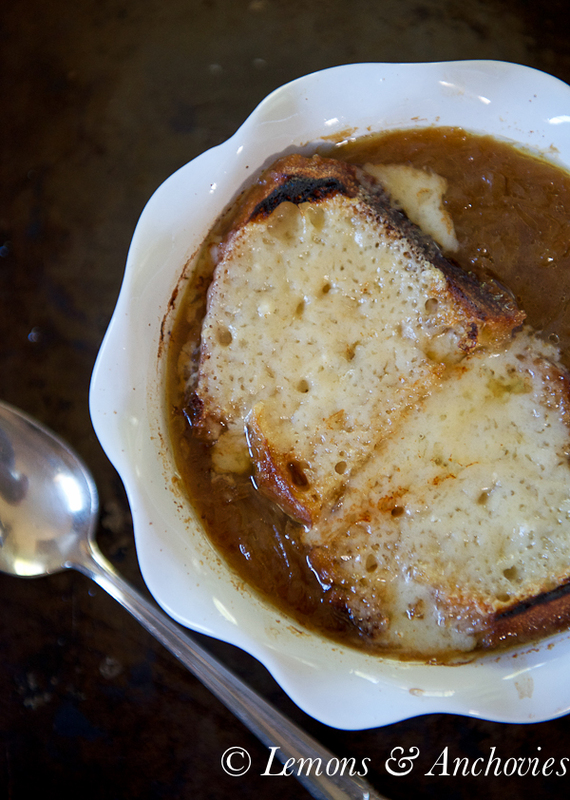 The fond–the browned, caramelized bits–that develop make for a flavorful base for a French onion soup that doesn’t have to rely on heavy doses of cheese and beef stock to be good. And it works. I confess that I prepared this soup in July, when I had 20 pounds of Walla Walla onions to use up. These onions are sweeter than regular ones but the latter will develop good, flavorful fond just like the Walla Wallas. Allowing the onion flavor to slowly develop over two hours on the stove is well worth the wait. Look at the dark soup–color means flavor and it didn’t come from the meat broth. What you get is delightfully sweet onion flavor against a light meat broth (that’s not too salty because you dilute it with water); the melted Gruyere provides just enough saltiness to the soup to balance out the sweetness of the onions. If you’ve always been disappointed by French Onion soup in restaurants there’s no better time than the start of soup season to give this one a try. This version of French onion soup takes time but the results are worth it. Heat the olive oil over medium heat then add the onions and a pinch or two of salt. You may have to add the onions in batches. Once the initial batch begins to cook down, you can add the rest. Cook, stirring occasionally for 1- 1½ hours. The onions will release their liquid so they will get watered down a lot--this is to be expected. You can turn up the heat to medium-high to help the liquid dissolve sooner but you can expect this part to take about 20 minutes. Once the liquid has evaporated the onions will begin to brown and caramelize--this is the fond. As the fond develops at the bottom of the pot, stir the onions to prevent burning. You can also add a splash or two of water to help release the fond (I only did this once or twice). Reduce the heat to medium if the onions are browning too quickly. You will need to follow this step of releasing the fond and stirring the onions a few times over the course of 1- 1½ hours. Note: Taste as you go. You may not need all this time if your onions have developed enough flavor. Walla Walla onions contain a bit more sugar than regular onions so consider this when trying out the recipe; it may take a little less or more time for you. Once the onions are uniformly brown and flavorful add the thyme, bay leaf, 4 cups of beef stock and 2 cups of water (or chicken stock if using). Bring to a boil then simmer for about 15 minutes. Taste the soup. Because of the natural sweetness of the Walla Walla onions I found mine to be a bit rich (and also with 4 cups of broth and 2 cups of water the onion to liquid ratio was a bit high for me) so I added more stock and water as I heated up leftovers (you can add it all at once, too). If you like a higher onion to liquid ratio you may not need to add the remaining liquid. Ladle some of the soup in oven-safe bowls. Turn on your broiler and place a slice or two of sliced baguette topped with gruyere slices. Set the bowls on a baking tray and broil the soup until the cheese has melted and starts to turn golden. Serve immediately. This soup will keep for a few days in the refrigerator. Welcome back! Nothing is more comforting than homemade soup, especially when dealing with jet lag. I’ve had the French Onion at Fandango’s and it is quite good – love the toast with gruyere topper! Welcome home! I remember my first taste of French Onion Soup and it was love at first sip. What a great way to ease back after your trip! 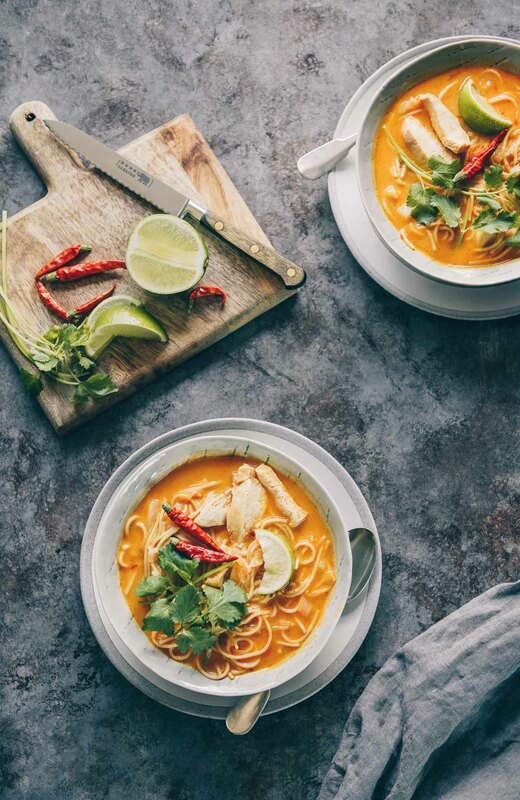 A comforting and delicious soup! 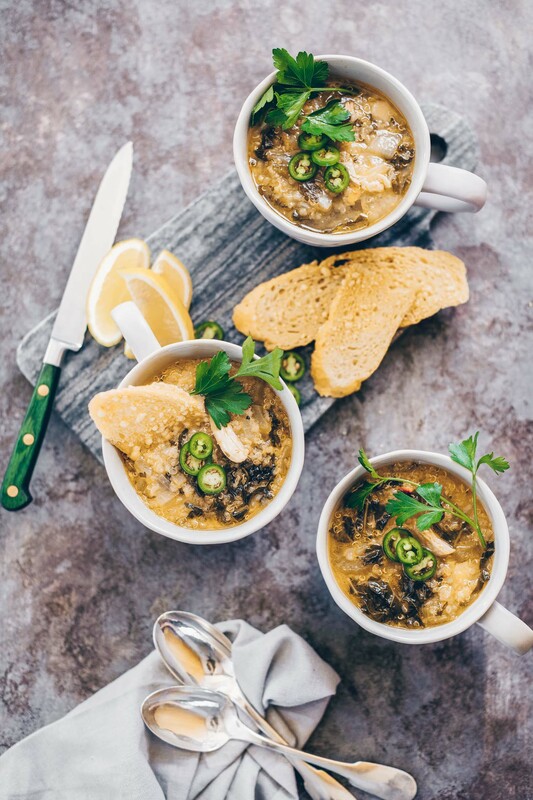 Oh my – I have so loved french onion soup but have never been able to replicate it well – your recipe might just remedy that – this looks so good! 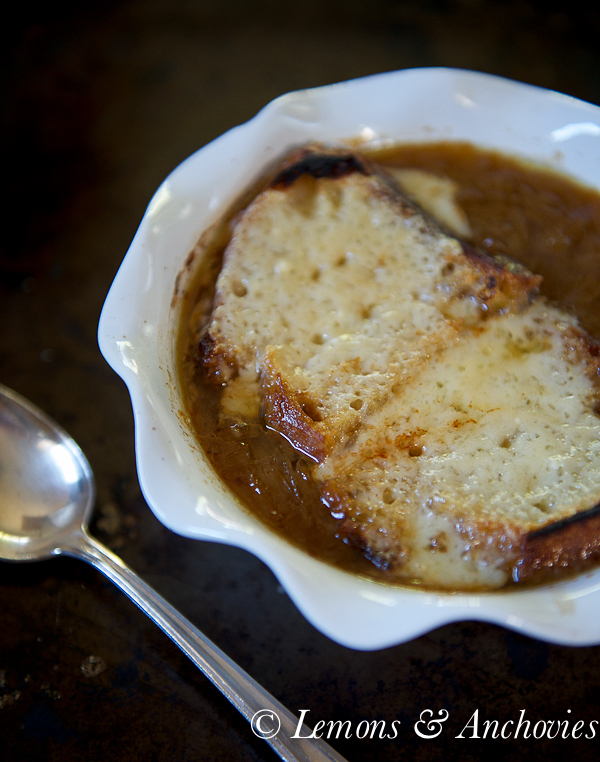 I adore french onion soup, I must try this recipe. Glad you made it safe and sound and enjoyed your trip, look forward to seeing more photos from it. I made your soup tonight for my mom and grandma that were visiting. It’s so easy due to the few number of ingredients but so flavorful! Everyone loved it! Elissa, so glad you tried the soup recipe and liked it! Thanks so much for the feedback–much appreciated!!! Oh your French onion soup looks very good Jean- I’m going to order a bowl when I see it on a menu in France-not sure if it will be as good as this one though! I had plans to make French Onion Soup now that the weather is turning a bit chillier. Your recipe is the one I am going to try. Looks comforting and delicious!